The latest funding awards from Moray LEADER include a boost for plans to develop Grant Lodge in Elgin and support for a low carbon car share project. The total funding awarded in this round came to almost £200,000, including a contribution to the Discover Moray’s Great Places project, led by Moray Council. tsiMORAY have been awarded £13,091.85 to work in partnership with the Grant Lodge Trust to employ a Project Development Officer to help them complete the business case for the Community Asset Transfer of the Lodge from Moray Council. This is an essential first step towards the restoration of the Lodge Elgin as a Social Enterprise Hub & Civic Engagement Centre. The award represents 70% of the total project costs. Moray Carshare have been awarded £136,680.98 for the Low Carbon Expansion of Car and Bike Sharing in Moray. The project will allow them to expand their operations to bring the benefits of car and bike sharing to more parts of Moray, using new electric vehicles and also introducing electric bike sharing and a lift sharing service. The award represents 70% of the total project costs. Moray Council have also been awarded £50,000 in their role as lead partner for the Moray Economic Partnership to support the Discover Moray’s Great Places project which is jointly funded by the Heritage Lottery Fund. The project will explore how Moray’s rich cultural, built and natural heritage can be further enhanced to maximise community engagement, attract new audiences, participants and visitors through working closely with Moray’s Creative Scotland Place partnership. The award represents 50% of the total project costs. “With the Brexit clock ticking on applications for Moray LEADER funding, it’s great to be able to announce these awards to three excellent and diverse projects. We hope the Grant Lodge funding will help to kick start the ambitious plans for the development of this important assets for Elgin and all of Moray. 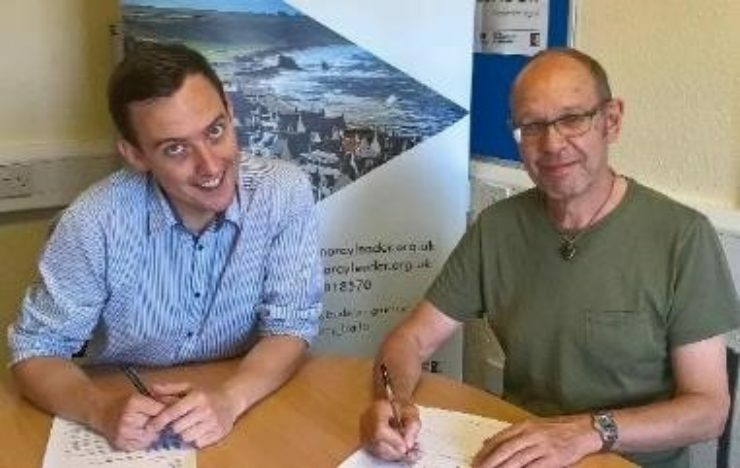 “Support for Moray Carshare is absolutely in line with our aims on a low carbon economy and access to services, and we are confident it will bring multiple benefits to Moray. “The Discover Moray’s Great Places will be another important contribution to the growing recognition that Moray is one of the best tourist destinations in Scotland. If you would like to be kept up to date with the latest developments, please subscribe to our mailing list. Moray Local Action Group is being part-financed by the Scottish Government and the European Community LEADER 2014-2020 Programme.